This case study is a fictional account of a romantic interlude in which a secret concerning the gender history of one of the characters is revealed. The case is intended to offer students a greater understanding of gendered culture and to discuss diversity issues. Students are also introduced to the possible scientific basis for “transgenderedness” and ultimately transsexualism. 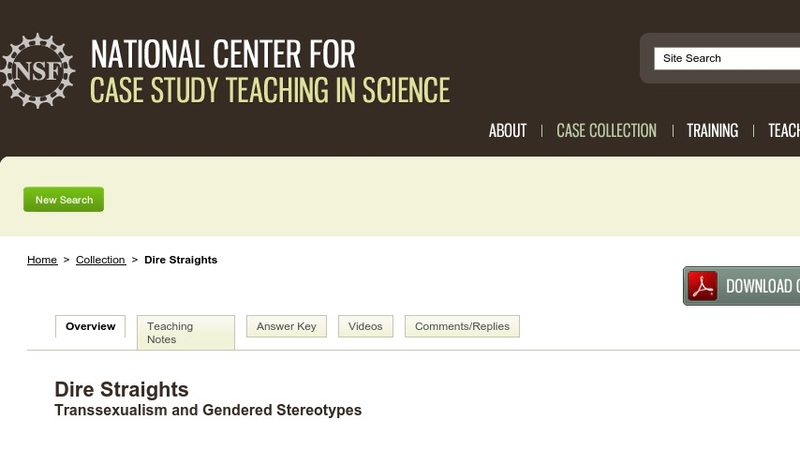 The case was developed for a community college level introductory cultural anthropology class, but could also be used in introductory gender classes or in courses where diversity issues may arise, such as in some sociology classes.